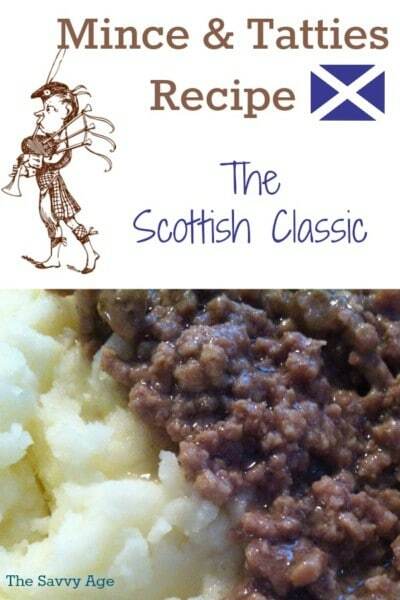 Mince & Tatties? Ring any bells? A budget friendly dish which is heralded as one of the most popular dishes in Scotland? I noticed this little gem of a Mince and Tatties recipe flying through the Facebook feed of a Scottish friend. 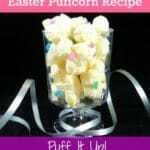 This recipe caught my attention and is a keeper. 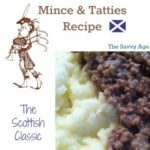 At the time we were in the middle of a heat wave so I waited until the weather has cooled to give this recipe a try and this Mince & Tatties recipe was a comfort food winner and was well worth the wait until comfort food weather here in the north. If you love taters, this is a recipe for you. If you love an affordable meal, this recipe is for you. If you are a meat and potatoes lover, this recipe is for you. When I first read the Mince & Tatties recipe it reminded me of our own family meal when I was growing up which originated from the stretch the budget combination and concoction of hamburger, peas and rice. The original recipe from The Herald Scotland can be found here. Well I stumped my local butcher when I asked for a pound of mince. “Which of course he then asked, did you say mincemeat?” This led to a discussion of what is mince? I explained this was a recipe from Scotland and from the pictures and research it appeared to be our American version of finely ground beef or sirloin. The next time I visited the store, the butcher came running over and was quite excited to reveal that he now understood what I was asking for? Beef which was minced via a mincing machine or for this butcher it would be grinding the beef 3-4 times. In any event, ground beef or sirloin works for this recipe and I simply ‘minced’ the beef while cooking with a fork. Either way it is the consistency which will differ depending upon how minced the beef is and not the taste. For those really interested in mince, Jamie Oliver provides all you need to know at All About Mince. Optional: Peas, carrots, vegetables of your choosing. Worcester sauce for a kick. I know – you know- how to make mashed potatoes. You will be boiling the mashed potatoes in conjunction with cooking the beef. Begin boiling the potatoes first in order to time the potatoes to be finished with the mince. On medium heat in a large skillet, brown the beef and onions. Once cooked, add flour to mixture. Pour beef stock over mixture, lower heat and simmer 15-20 minutes. Mash and prepare your potatoes to be ready when the mince is completely cooked. 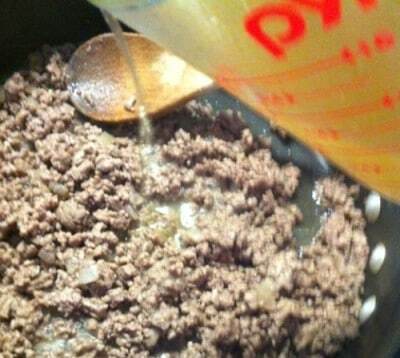 Kitchen Tip: I simmered the mince longer and added a smidge more flour for a consistency I desired. If you are a cook who likes to tweak recipes, this recipe can be easily tweaked for the preference of the audience regarding consistency and optional vegetables or Worcester sauce. I make no taters about the fact I am a mashed potato fan. I’ve probably made mashed potatoes in every way possible (adding Mince & Tatties) to the rotation. What is common about every mashed potato recipe I have made is my favorite mashed potato helper – the potato ricer. 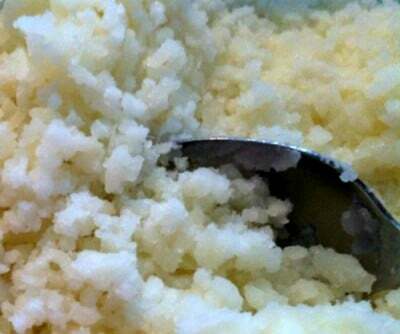 The ricer will be the key to creamy mashed potatoes every time. 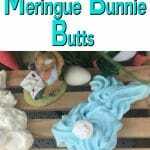 (I know there are lumpy mashed potato fans, but I prefer creamy.) 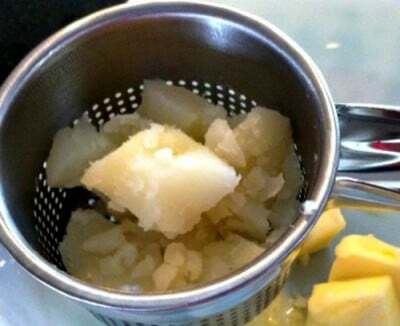 I highly recommend adding a potato ricer to your kitchen tools and ricers can also be used for any soft veggie to mash. Enjoy this traditional comfort food from Scotland. Affordable dinner that combines your favorite mashed potatoes with "mince" aka hamburger in the U.S.A. Perfect for fall and winter dinners. Serve the mashed potatoes with the meat - or serve the mashed potatoes on top of the meat - your preference! Add a splash of Worcester sauce for a kick. Optional: Add your favorite vegetables. Peas, carrots, corn all work well. 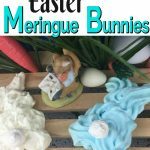 Old Fashioned Bread Pudding Recipe – Oh Yes! Yum! this is most certain doable in this kitchen! thanks for the recipe. This would go over well in my household. It is definitely worth trying, thanks for visiting! Hello if you enjoyed this dish should really try Scottish stovies it’s very similar warm tasty winter dish and very cheap to make And there’s a million ways to make it but I would say avoid adding any sort of alcohol of strong tasting herbs that some of the recipes ask for Happy Cooking. Thanks! I will definitely check out Stovies!